philosophy | J.W. Wartick -"Always Have a Reason"
André Dumas’ Dietrich Bonhoeffer: Theologian of Reality is a deep look at the theology and philosophy of Dietrich Bonhoeffer, offering the thesis that Bonhoeffer’s primary aim was to show that God is reality and really interacts with the world. Though this may seem a rather mundane claim, Dumas’s point is that “reality” is rather strictly defined for Bonhoeffer, and, as he argues, this leads to some intriguing insights into Christian theology and philosophy. One side note before reviewing the work: this book was originally published in French in 1968 and in English in 1971. Dumas is, in part, responding to the “death of God” movement that turned Bonhoeffer into a kind of secular saint Nevertheless, this work is highly relevant to today’s theological and philosophical inquiry as well, particularly due to the keen interest in Bonhoeffer’s life and work. Central to Bonhoeffer’s thought, argues Dumas, is the struggle between objective revelation and existential interpretation. Alongside this is the question of reality, which, for Bonhoeffer, was this-worldly. Christianity is not to be reduced to a religion, in this case meant to denote a faith that points to the other-world or beyond this world to a different and disconnected reality. Instead, it is about this world, the very one we are in. Dumas notes that “Bonhoeffer was… drawn to the Old Testament, because the living God within it becomes known only in the here-and-now of human life. The absence in the Bible of any speculation about the beyond, about the abode of the dead, about inner feelings, or about the world of the soul, strongly differentiates the faith and anthropology of Israel from the various religions that surround it. For Israel [and Bonhoeffer], God can only be encountered in the reality of this world. To withdraw from it is to find oneself beyond his reach” (144). Alongside this is the need to avoid either total subjectivism about the word of God while also not falling into the danger of objectification. In order to combat these difficulties, Dumas argues that Bonhoeffer sees Christ as the structure of the world, God entering reality to structure it around himself. Thus, for Bonhoeffer, Christ is “the one who structures the world by representing its true reality before God until the end” (32). This is important, because this means that Bonhoeffer is not encouraging a Christianity that sees the ultimate goal as “salvation” from the world. “When biblical words like ‘redemption’ and ‘salvation’… are used today, they imply that God saves us by extricating us from reality, blissfully removing us from any contact with it. This is both gnostic and anti-biblical” (ibid). Christ is the true center of all things, and the structure which upholds the true reality, one with Christ at the center. These central aspects of Bonhoeffer’s thought are then the main force of Dumas’s arguments when it comes to “religionless Christianity” and the questions of realism and idealism. Regarding the latter, Nietzsche remains a major force in philosophy as one who also argued for a kind of realism. But Nietzsche and Bonhoeffer, though having similar influences, came to utterly different conclusions and interpretations of that “realism.” Nietzsche “cannot get beyond the terrible ambiguity of loneliness in the world, against which Bonhoeffer rightly affirms the reality of co-humanity, willed by God in his structuring of the world, and embodied by Christ in his life and death for others” (161). Thus, “Bonhoeffer… agrees with Nietzsche on the primacy of reality… But Bonhoeffer disagrees with Nietzsche about the nature of that reality” (ibid). And Bonhoeffer’s vision of reality is concrete as well, but one which avoids the stunning loneliness and hopelessness of Nietzsche. The non-religious church is a major question in Bonhoeffer’s later thought, but one which must be viewed holistically with the rest of Bonhoeffer’s ideas, as Dumas argues. Thus, the non-religious church is not an atheistic one or a “secular Christian” one. Instead, it is one which “will then rediscover a langauge in speaking of God [that] will not release one from the earth… The resurrection will not re-establish the distance between God and man that was overcome by the cross… Instead, [the community of the church] will be nourished by its participation here on earth in the task of restructuring everyday life, just as Jesus Christ did earlier on its behalf” (209). This cannot be interpreted as a call to go against faith in Christ but rather as a radical call to make Christ the center once again. This is the linchpin of Bonhoeffer’s Ethics as well, for it calls to make Christ the center, a re-structuring and ordering of the world which will change everything, and an order which Bonhoeffer died following. Dumas is an able interpreter of Bonhoeffer, and one who avoids entirely the danger of separating Bonhoeffer’s work into distinct eras or prioritizing some works over others. Dumas argues instead that Bonhoeffer’s thought is unified, though of course it does develop over time. Therefore, Dumas finds Sanctorum Communio just as important as Letters and Papers from Prison for understanding Bonhoeffer’s thought. His book demonstrates the ability of Bonhoeffer not simply as theologian or martyr but also as philosopher, drawing from Hegel and others to create a systematic view of the world with Christ as the center, as the structure of reality. Dietrich Bonhoeffer: Theologian of Reality is a fascinating work that ought to be read by any looking to understand the works of Bonhoeffer. Disclaimer: I was provided with a copy of the book for review by the publisher. I was not required to give any specific kind of feedback whatsoever. A work of the size and scope as J.P. Moreland and William Lane Craig’s massive Philosophical Foundations for a Christian Worldview is daunting, so readers will want to know if it is work going through. The short answer to that question is that yes, it is, so long as one reads the work–like any other–with a critical eye. The book is broken up into six parts: Introduction, Epistemology, Metaphysics, Philosophy of Science, Ethics, and the Philosophy of Religion and Philosophical Theology. Each section is full of definitions and lengthy philosophical outlines arguing for the positions Craig and Moreland hold. They attempt to stick to a largely “mere” Christianity, though at times they stray from a vision that is as broad as possible. For example, regarding the debate over the soul, Moreland and Craig fall staunchly into the dualist camp, to the extent that a physicalist theory of mind from a Christian perspective isn’t even considered. Regarding the science-faith question, the authors argue lengthily against any perspective which would hold to methodological naturalism and seem to align most closely with ID theory. For a theory of time, the authors push for an A-theory of time, which later impacts their doctrine of God by making God temporal post-creation and undermines the notion of divine simplicity. Yet even those who take issue with the positions the authors hold will continue to benefit from interacting with their views. For example, interacting with their arguments about God and time would be a great exercise whether one believes God is temporal or atemporal. I did, however, find the choices of subjects related to philosophical theology to be particularly interesting. The first two sections make arguments related to the Trinity and the Incarnation, which are both definitional to the notion of a “Christian.” The third, however, is about the Atonement, and quickly (613) states that “an essential, and indeed central, element of any biblically adequate atonement theory is penal substitution” and then go on to say “More than that, penal substitution, if true, could not be a merely subsidiary facet of an adequate atonement theory, for it is foundational to many other aspects of the atonement, such as redemption from sin, satisfaction of divine justice, and the moral influence of Christ’s example” (613-614). I was quite surprised by this–especially the latter statement–because there are entire theories of atonement based around these aspects. Thus, for example, the Example Theory of the atonement is entirely based upon the notion that Christ is an example and would therefore give us all kinds of moral influence. Interestingly, the fourth doctrine addressed is that of Christian particularism–the notion that salvation is in Christ alone. I tend to agree that no orthodox Christian would deny this, but it is interesting to see that Craig and Moreland seem to equate belief in, say, universalism with a denial of particularism, though to my knowledge most of the 19th century Christian universalists affirmed particularlism but held to universal salvation through Christ. Craig and Moreland go on to state that views like annihilationism “are rather difficult to square with the biblical data” (632) even though, in my experience, annihilationists almost always go straight to the biblical text to support their views (see, eg. numerous passages that equate hell with death or destruction). Again, it seems odd in a book that tends to go towards “mere” Christianity to pick views that are at issue and then exclude all others. Many readers will want to go straight to the book for arguments about the existence of God, and Moreland and Craig do not disappoint. In the two chapters on the topic, the authors summarize huge swathes of philosophical arguments for the existence of God, along with answering many objections. Like the rest of the book, this is done in summaries of longer arguments, but readers will still get much of use out of this section. Though I’ve skimmed through many portions of the book, I’d like to focus a little bit on Christology and the discussion of what Craig elsewhere calls Neo-Apollinarianism. I was curious to see if the 2nd edition of the book would modify this position in critical ways to avoid the pitfalls of his previous position, but it seems it does not. The argument is made that “Apollinarianism achieved a genuine incarnation that… is no more implausible than the soul’s union with the body” (597). The problem was that it failed to unify body with mind in Christ. Thus, the authors propose making the divine Logos the mind of Christ, among other things (603ff). This seems to me–and many others–to punt the problem by still making it such that the Incarnated Christ does not have the totality of human nature, for the mind is from the divine nature. Simply calling it the “Logos” does not smooth over the problem of making the human nature effectively mindless without the divine. Because this Christology does not give Christ a human mind, as Gregory of Nazianzus said, “That which was not assumed was not saved” (glossing a bit). This seems an incomplete Christ. Moreover, the discussion on the Lutheran view of Christology (a view that I as a Lutheran ascribe to) rather strangely condemns Lutherans for confusing the natures of Christ by teaching the communication of the attributes. Such a blithe dismissal seems wrongheaded, unless Moreland and Craig wish to further deny that the Incarnate Christ was incapable of divine activity. Alas, such misunderstanding of Lutheran positions are not uncommon. With Philosophical Foundations for a Christian Worldview, Moreland and Craig have provided a truly impressive contribution to Christian philosophy of religion that will serve as a starting point for many an engagement with a huge number of topics. At some points, the authors take contentious positions, and it is unfortunate that they endorse a non-standard Christology. Thus, readers should read the work with a critical eye, treating it as a practice of interaction on a high level with a number of philosophical ideas related to Christianity. Every movie has a worldview. “Man of Steel,” the latest iteration of Superman, is no different. In fact, many explicit questions of worldview come up. Here, we’ll take a look at some major themes found in the movie. There will, of course, be SPOILERS below. The question of morality looms large throughout the film. What does it mean to seek to do good in our world? At one point, Faora Ul, a commander in General Zod’s army, discusses how the fact that they have moved beyond morality has become an “evolutionary advantage” and that “evolution” always wins. I was struck by this brief aside for a few reasons. First, would moving apart from morality really be an advantage? Surely, it may lead to no self-sacrifice, but that self-sacrifice itself is something which preserves a race. In fact, the whole thrust of the film centered around the notion of self-sacrifice by Superman giving up those things which he liked or wanted in order to save others. The fact that Superman overcomes the moral nihilist is significant. Second, does evolution always win? This is a question to consider for a different time and place, but surely I think one must wonder whether it is the case that having an advantage would guarantee victory in the race to survive. Any kind of random fluke could happen to eliminate a better-suited creature. Again, these are questions for another time, but in context of the movie, the whole notion was again overthrown, because Superman, with a stringent morality, overcame. But at what cost? The climactic scene in which Superman confronts General Zod ends with Superman snapping Zod’s neck to prevent him from killing even more people. Superman’s self-made (but unmentioned in the movie) ethos of avoiding killing is thus itself overthrown. What does this say about objective morality? Is such a killing ever justified? Or, might it mean that Superman abandoned morality in order to confront the moral nihilist? Perhaps, instead, there are shades of virtue ethics found throughout, which confront Superman with a choice and allow him to carve out his own moral sphere? These are questions suitable for reflection, and I think the movie does a great job asking the questions without spoon-feeding any answers. Superman is, of course, readily seen as a savior-stand in. Superman is 33 years old, which is also the generally accepted age of Jesus at death. One scene depicts Superman in a church, and his face is set against a backdrop of a stained-glass depiction of Jesus in the Garden of Gethsemane. The scenery is surely intentional–Superman is seeking to give himself up for the sake of humanity, just as Jesus did. But the way in which they go about this self-giving are radically different. Superman’s ultimate sacrifice is compromising his moral code in order to save people, while Jesus’ was the ultimate sacrifice–taking on death and becoming sin for our sake. The question which all of this begs, then, is whether Superman might be envisioned as an interesting Jesus-parallel, a kind of allegory to be utilized to discuss the real Savior, or whether Superman is instead a kind of rival savior figure intentionally subverting the narrative of an incarnate deity. Support for the latter might be drawn from the notion that Superman would be “viewed as a god” simply because he came from a different world and the atmosphere/sun of Earth strengthened him to superhuman (groaner, I know) levels. Is this a subversive way to describe Christ? Well, really only if one wants to accept that Jesus of Nazareth was some sort of alien and that a radical deception has gone on for two millenia. Of course, some people would like to suggest just that, but how grounded in truth might it be? It seems to me that the film, then, is a useful way to juxtapose saviors. What does it mean to be a savior? How does one bring that about? There are parallels between Jesus and the story of Superman, but the most important things are perhaps the contradictions in their stories and lives. Many interesting questions about morality are raised in the film as well, and it would be hard to argue that the story of the movie is not compelling. 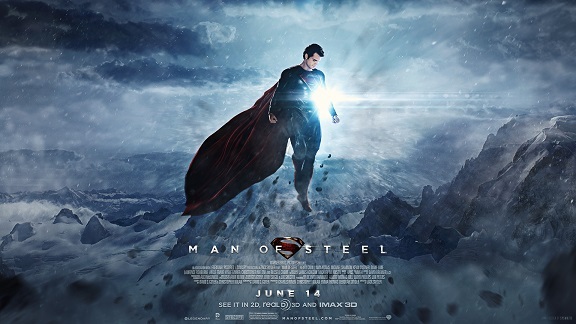 “Man of Steel,” it seems, is another way to integrate the Christian worldview into every aspect of life. What are your thoughts on the movie? What other themes might be discussed (like this post on Platonic thought)? Let me know in the comments below. Be sure to check out the page for this site on Facebook and Twitter for discussion of posts, links to other pages of interest, random talk about theology/philosophy/apologetics/movies and more. Book Review: “Hollywood Worldviews” by Brian Godawa– Speaking of worldviews in the movies, why not check out my review of this book which seeks to provide a method for analyzing film from a worldview perspective? Let me know what you think. Engaging Culture: A brief guide for movies– I outline my approach to evaluating movies from a worldview perspective. I have a number of ways in which I have critically engaged with culture in movies, books, and other arts in my posts on current events (scroll down for more posts). Virtue Ethics and the Man of Steel– Check out this interesting post on the Platonic thought found throughout the movie. Aborting Aristotle by Dave Sterrett explores some of the metaphysical background needed to discuss the morality of abortion. It is a brief book best seen as a primer on issues related to abortion in philosophy. The book proceeds in a logical fashion from showing that inconsistency doesn’t undermine the good things that people like Aristotle or Thomas Jefferson said, then arguing that metaphysics is necessary, and moving on through examination of some of the primary grounds for believing abortion is permissible: uncertainty and materialism. Then, arguments are put forward showing that natural law can be a basis for rule of law, that distinctions related to substance are important to the debate, that all humans are persons, and that we are persons not based on what we do but rather on who we are. The book ends wit ha chapter showing some ares of agreement or disagreement between pro-life and pro-choice advocates. Weighing in at 120 pages, the book is quite brief on these various topics. Again, it functions as a primer, not an exhaustive overview of any of these issues. That limits its usefulness in some ways, as there are other books which provide groundwork on philosophy before diving into the abortion debate with greater depth. Where Sterrett’s work excels is in its focus on the concept of “substance” and its importance for understanding personhood. He demonstrates that much of the debate boils down to one’s philosophical background, and advocates one which sees humans as substances. 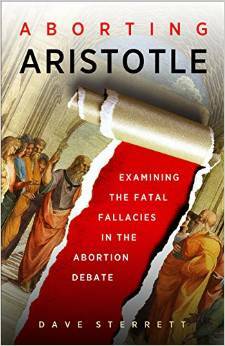 Aborting Aristotle is a great read for someone looking to ground themselves in the abortion debate. It is the kind of book that one should read before delving into some of the meatier works on ethics and bioethics related to abortion. “But it’s Legal” – Does the legality of an act make it moral? Thus, in the case of Planned Parenthood’s donations/sales, if legal, does it follow that it is moral? To be blunt, the legality of an act is not enough to make it moral. One clear example of this would be antebellum slavery, which was legal for quite some time in the United States. Would those who want to assert that legality is enough to make an act morally permissible agree that slavery, at that time, was moral? If so, that is a tough pill to swallow. But we can go beyond that example and see how Nazi Germany was treated. After World War II, several of the perpetrators of the Holocaust and other atrocities committed by the Nazis were put on trial. The first of these became known as the Nuremberg Trials. The argument they made, however, was that they were obeying the law of their land. The argument was thus made that there was no law to which they could be held accountable. The argument was rejected, and the legacy of these trials led to the creation of various international law organizations and more specific definitions of war crimes and crimes against humanity. But the question that must be pressed is whether these trials were just. The laws that they were condemned by were largely created after or during the trials themselves. What were the Nazis guilty of? The answer has already been provided, in part, as crimes against humanity. By willingly participating in and carrying out genocide and other atrocities, despite having orders to do so and acting within the laws of their land, the Nazis had still violated a higher law, which held them to a moral standard. There remains much debate over the legal basis for the convictions and executions of those who carried out the atrocities, but it seems that if one ultimately wants to argue that the law is all it requires to make something moral, they must side with the Nazis and agree that they should not have been held accountable for their acts. We can therefore see that the mere appeal to a law to argue something is moral is not enough. Anyone who disagrees must assert that slavery, as it was being conducted in the United States, was at least morally ambiguous if not a moral good, because it was legal. Similarly, they must assert that the genocide the Nazis carried out was itself at least morally ambiguous if not a moral good, because it was legal and they did it under orders. The absurdity of these two conclusions should lead any reasonable person to agree that the legality of an act is not enough to establish its morality. Thus, the simple legality of an act does not make it moral. An appeal to an acts legality does not mean it should be dismissed from moral scrutiny. Planned Parenthood should justly remain under intense scrutiny. “Never use an argument that you don’t find convincing”? Not an argument, but a pretty picture nonetheless. I was contemplating a post I was working on not too long ago and realized I didn’t find one of the arguments I put forward very convincing. I think that there may be situations in which it is permissible and perhaps even wise to use arguments that you don’t personally find convincing. I want to start this with the caveat that as Christians in no way should you use arguments in this fashion without honestly prefacing them by saying something like “I don’t find this convincing necessarily” or “This is not my view, but some think…” We must be honest in our argumentation, but that doesn’t mean we have to be limited in it. One reason to use arguments that you don’t personally find convincing is because it is impossible for us to know everything. For example, for a long time I thought Pascal’s Wager was an okay, but not ultimately convincing argument. However, I then read a book on the argument, Pascal’s Wager: Pragmatic Arguments and Belief in God by Jeff Jordan (review linked), which convinced me that the argument is actually fairly powerful. Indeed, after reading the book I even started to use the argument myself. Thus, what this means is that there was an argument I did not find convincing at one point, but which I later found to be quite convincing indeed. I didn’t have a complete picture of the Wager type argument, and I still don’t. It’s possible that one day I might discover a strong counter-argument which undermines my confidence in the argument. Effectively any argument that we consider is in a situation like this. We cannot possibly have read every single angle on most (any?) arguments, and so it is possible that any number of arguments we find convincing are really not; or vice versa. Moreover, we are called to pursue the truth and hold fast to what is good. In discussing an argument we might not find convincing, there might be new points raised which cause us to reevaluate the rejected argument in a different light. Finally, another reason it might be even wise to utilize arguments that we don’t personally find convincing would be pragmatic. For the sake of the following example, just assume that the positions presented are thought be the apologist to be acceptable biblically, though they favor one over the other. Suppose one is talking to an atheist whose only objection left to Christianity is the doctrine of eternal conscious punishment. In that case, the apologist might mention the alternative Christian doctrine of annihilationism/conditionalism, pointing out that although they don’t personally hold the view, it is a view that is established within the Christian tradition and offers an alternative to the eternal conscious punishment view. In this case, the atheist’s final objection is at least possibly answered–they are confronted with the reality that their final objection is possibly mistaken. And, the apologist with whom they are having this discussion was honest enough to point out they don’t hold to the view, merely that it is a view which answers their objection. This pragmatic use of argument must be done carefully, and again very openly and honestly. I have found that if one does use this method in a conversation, it generally goes to more fruitful discussions and drawing out more areas of agreement. Thus, I am of the opinion that it is at least permissible to use arguments that you do not personally find convincing, with the caveat that you do so honestly. What do you think? Should you only use arguments you personally find convincing? Is it permissible to use arguments you don’t find convincing? Are there circumstances in which this is different? By the way, I did take that argument out of the post I was working on. Whose body parts are they? The recent revealing of a video that purports to show a Planned Parenthood employee talking about selling the body parts of aborted fetuses has caused a stir around the web. There have been, predictably, many different reactions to this video. Some have been skeptical, noting that Planned Parenthood itself claims to only receive reimbursement for the transportation of this “tissue.” Others have jumped to accuse Planned Parenthood of human trafficking. Tired labels rejected by those being labeled have been tossed back and forth, like “anti-abortion activists”; “murderers”; and the like. I’m not going to dive into the controversy over whether careful editing made the video say more than it actually does, or whether Planned Parenthood needs to be shut down. It seems like investigations are already underway to look into this issue more deeply. To whom do these hearts, livers, lungs, and the like belong? Which body are they a part of? How you answer these questions is extremely important. If these are part of the mother, then the controversy may still stand–selling one’s own body parts would be questionable ethically. But if they’re not, then what? The position that maintains these are just parts of the mother cannot be maintained. Does a mother, upon pregnancy, begin to grow an extra heart, extra limbs, an extra brain? How many brains do human beings have? To maintain that this “tissue” is merely part of the mother that is being donated or sold for research (or whatever purposes) is absurd on its face. One would have to actually believe–not just argue for the sake of maintaining their position–that during pregnancy, a mother grows new parts of her body such as a brain, legs, and the like, which are all characterized by different DNA (unless cloned) and around 50% of the time has a different gender. That is, not to put too fine a point on it, one would have to actually claim that women grow penises. So I ask you, dear readers. Whose body parts are they? The outrage for selling these body parts may be on point. But how much greater should the outrage be at the fact that the body parts in question are those not of the mother, but of a distinct living organism with separate DNA? Max Malikow’s Mere Existentialism: A Primer is an excellent introduction to existential thought. This brief work offers brief (less than 10 pages a piece) introductions to Kierkegaard, Nietzsche, Karl Jaspers, Heidegger, Viktor Frankl, Sartre, Simone de Beauvoir, Albert Camus, and Irvin Yalom. These are exactly what they should be for being a primer on existential thought and encourage further reading. At the end of the book is a brief single-question summary of the thought of each of these major existential thinkers. These are thought-provoking and fairly accurate (at least for those with whom I was already familiar). The benefit of a book like this is that it allows readers to dive in and learn about major aspects of existential thought without a major time commitment. It is best seen as a way to introduce these thinkers rather than as a comprehensive look at existentialism. There are a few typos in the work, with perhaps the most noticeable being that Simone de Beauvoir is referred to as “Simon” in the table of contents and the chapter title (though it is correct elsewhere). Mere Existentialism would best be used as a way to briefly look at existential thought, whether for one’s own edification or in a classroom. It is a good read for an afternoon, provided the reader wants to sit back and think of their own place in the universe for a while afterwards. Disclaimer: I was provided with a review copy of the book from Theocentric Publishing. I was not obligated to provide any kind of feedback whatsoever. Max Malikow, Mere Existentialism: A Primer (Chipley, FL: Theocentric Publishing Group, 2014). 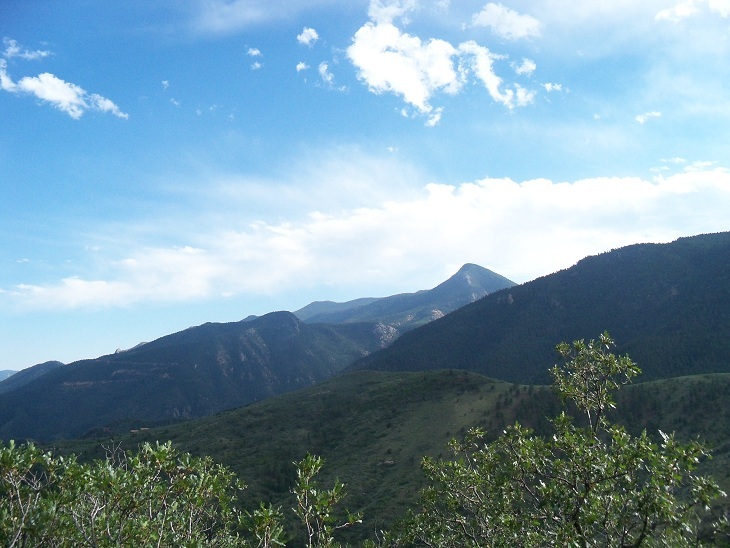 The Image in this post was a picture I took in the Rocky Mountains and shall not be used without expressed consent. Kevin Diller’s Theology’s Epistemological Dilemma: How Karl Barth and Alvin Plantinga Provide a Unified Response is a work that seeks to offer a unified approach from Karl Barth and Alvin Plantinga to a major difficulty in Christian doctrine: reconciling the necessity of having theological knowledge with the notion that our cognitive capacities are somehow faulty due to sin. But the book is much more than that, for throughout the book Diller gives major, applicable insight into the thought of both Plantinga and Barth. Diller first goes deeper into the epistemological problem, then analyzes Barth’s view of revelation and his theological epistemology, and wraps up the first part of the book with a deep look at Plantinga’s concept of warrant and how it may impact the question of theological epistemology. He puts forward a consistent interpretation that allows for a unified perspective of Barth’s and Plantinga’s thought. The second part focuses on this unified perspective and puts it forward in analysis of natural theology, human knowledge of God, and Scripture. Such a brief summary of contents does not do justice to the broad scale of the book, which touches upon many different topics of importance, while always remaining centered on the question of knowledge in theology. Diller has thoughtfully brought forth key aspects of the thoughts of both Barth and Plantinga in such a way as to demand reflection from both philosophers and theologians. Some of the most interesting insights come from Diller’s integration of Barth’s concept of revelation with Plantinga’s concept of warrant. By focusing on God as self-revealing and self-attesting (Barth), believers are able to maintain warrant in their knowledge of theology (Plantinga). Another area of profound interest is the way that both Barth and Plantinga approach natural theology–they largely argue that it cannot succeed in its end goal–to demonstrate the existence of God. Barth’s thought reflects this because God will necessarily be hidden from unaided human reason, while Plantinga argues that the arguments of natural theology are part of but do not ground warrant for belief in God. This latter section has much to reflect upon for one who, like me, thinks natural theology can be largely successful. Theology’s Epistemological Dilemma is a superb, worthwhile read for anyone with interest in the questions of how we may have knowledge within the worldview of Christianity. I highly commend it to my readers. Disclaimer: I received a review copy of the book through InterVarsity Press. I was not obligated by the publisher to give any specific type of feedback whatsoever. 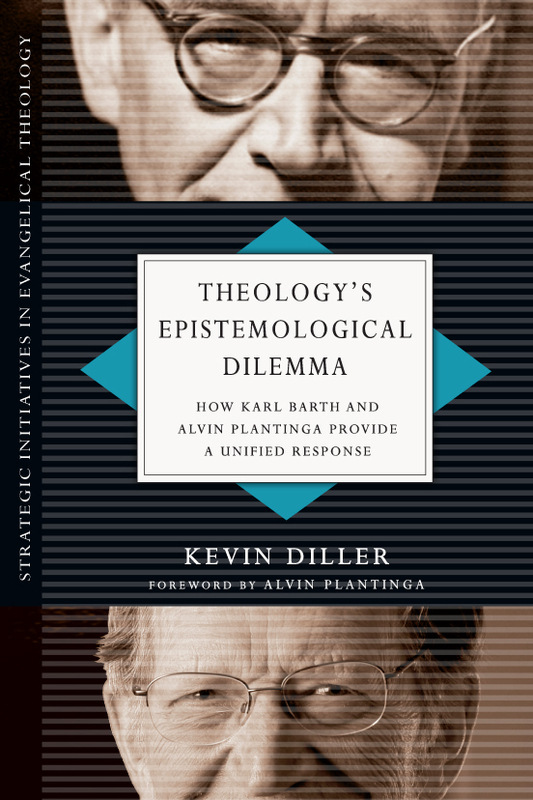 Kevin Diller, Theology’s Epistemological Dilemma: How Karl Barth and Alvin Plantinga Provide a Unified Response (Downers Grove, IL: InterVarsity Press, 2014). 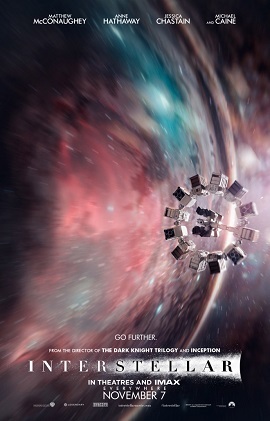 “Interstellar” is the latest from the acclaimed Christopher Nolan. A sprawling epic, it delves into some of the deepest questions we face. Here, I will reflect on the film from a worldview perspective. There will be SPOILERS for the movie in what follows. Humanity must face the slow creep of possible starvation and suffocation on the Earth of “Interstellar.” The “blight” is impacting crops and has caused the death of 6 billion people. It is unclear as to what this “blight” is but it clearly means that humans will not survive if it continues. The question is of our mortality, and although it never becomes explicit, it seems that “blight” could be some kind of analogy for climate change and the problems we may bring upon ourselves. But humanity’s crisis is not merely mortal; it is also moral. 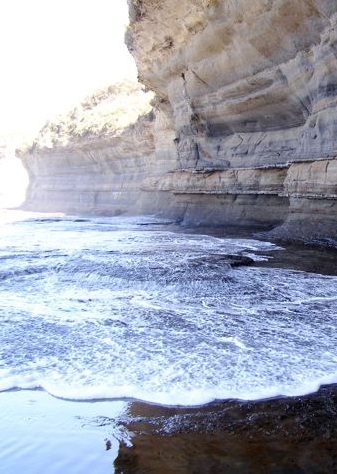 A few hints are offered of this, but the most poignant is when Dr. Amelia Brand spoke to Cooper about how evil does not exist in the places humans are going (at times one-by-one) to explore. She argued that nature itself is not evil; morality is a transcendent concept. The way that it is transcendent is unexplained. Another aspect of the crisis is epistemological–as the crisis continues, people have rewritten history in order to avoid glorifying space travel. Cooper struggles to form concepts of seemingly transcendent ideas in a universe that he strongly believes is entirely explicable based upon science. The questions these ideas bring up should be clear: how do we know anything? I watched “Interstellar” in IMAX, and one of the most beautiful scenes was when the Endurance was shown against the backdrop of Saturn. It was a mere speck–a speck of a speck. It poignantly drove home a point that was found throughout the movie: We are tiny. But this message was not found alone; instead, it was juxtaposed against the continued focus on humanity and our struggles to survive in the universe. In a way, though we’re tiny, in “Interstellar,” we’re what is important. Humanity is what it’s all about. Or is it? It seems that the question is ultimately left open; perhaps there is transcendence beyond us. Our (minuscule) place in the universe may point beyond it. The question is another which is found through the film. Where did the wormhole come from? Cooper assumes that it is from a future humanity–we save ourselves!–but reflection seems to show this cannot be the case. After all, if the wormhole were not there, humans would have had no way of surviving; no future. Perhaps Dr. Brand is closer to the truth, because she argues that love is a transcendent concept which goes beyond space and time. It cannot be fully explained by our calculations. The film never goes beyond this kind of stirring question, and Cooper’s assumptions are offered as one possible explanation for many questions: perhaps humans do rule all, and perhaps they are the end-all. But realistically, the ultimate questions of morality, the origin and power of love, and some others remain unanswered. I think that’s certainly intentional–it allows viewers to form their own conclusions–but the reality of the situation is that Cooper’s purely scientistic worldview (his notion that science is ultimately the only possible explanation) find itself inadequate to explain reality. Some have argued that “Interstellar” is merely a secular humanist manifesto, but it seems to me the story is much deeper than that. I have argued above it leaves open several questions about the nature of humanity, our crisis, and the transcendent. Whatever else is said about the film, it is one that will start conversations and one with which, I would argue, Christians need to be conversant. It’s a fabulous space epic that is a must-see. What are your thoughts? Share your own perspectives in the comments. The image used in this post is from an official movie poster. I claim no rights to it and use it under fair use. The image used in this post was a movie poster and used under fair use. I make no claims to the rights for the image.